Home DID NOT FLOOD. 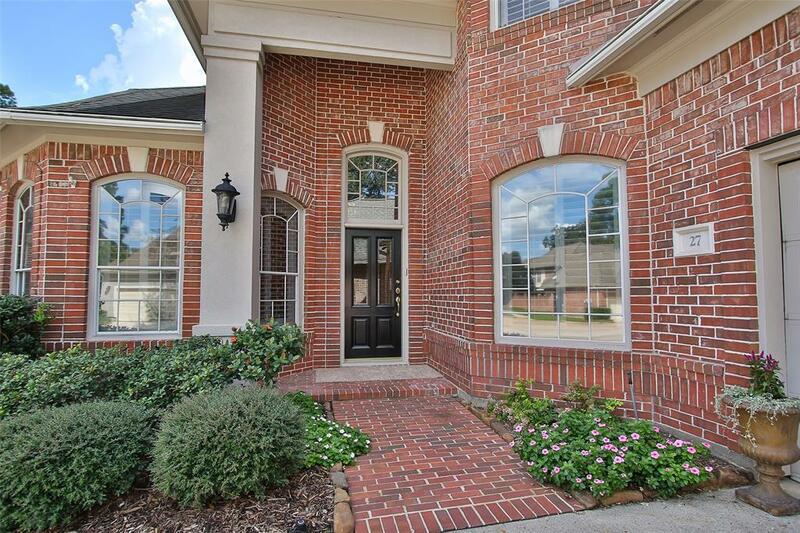 Gracious, all brick, custom, 1.5 story home in gated community. 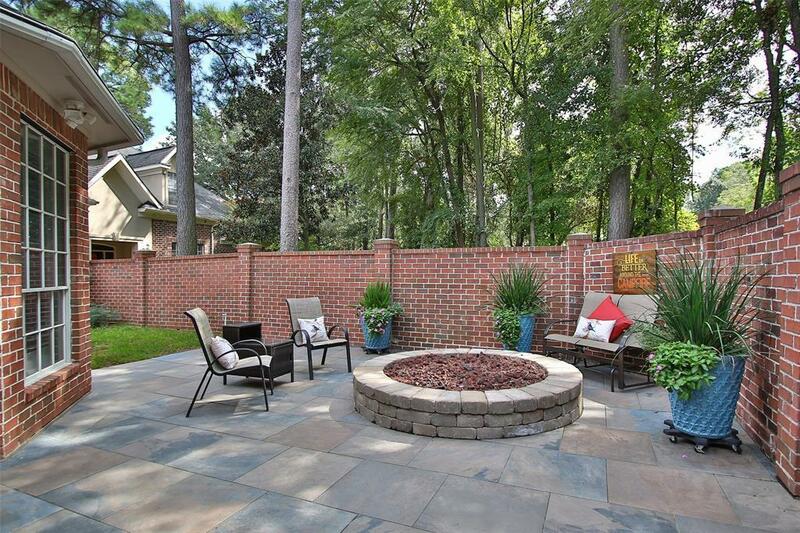 Wooded setting, with private patio featuring a fire pit and fountain. Formal dining with extraordinary trim and chair-rail. Plantation shutters, oak flooring and stunning trim throughout. 2013 kitchen remodel, painted cabinets with glass fronts, stainless double oven, glass cooktop with downdraft, large pantry, designer granite, built-in wine rack. Family room with built-in bookcases, gas log fireplace and wall of windows with view of very private, expansive patio. 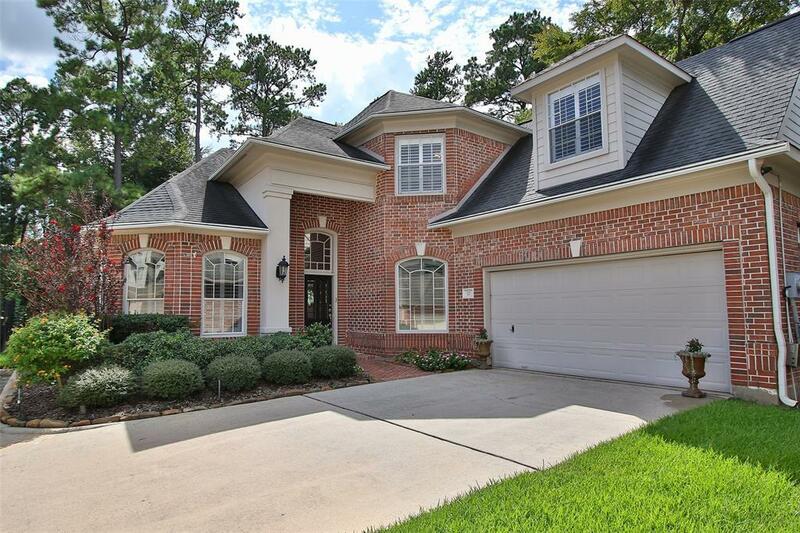 Spacious first floor master suite with sitting area, master bath has jacuzzi tub, dual sinks, two very large closets. French doors open to large study with crown trim. Upstairs two ample size bedrooms with hollywood bath, large closets. Game/media room up. Upgraded high efficiency HVAC 2014. Lush landscaping, Leaf Guard cutters. 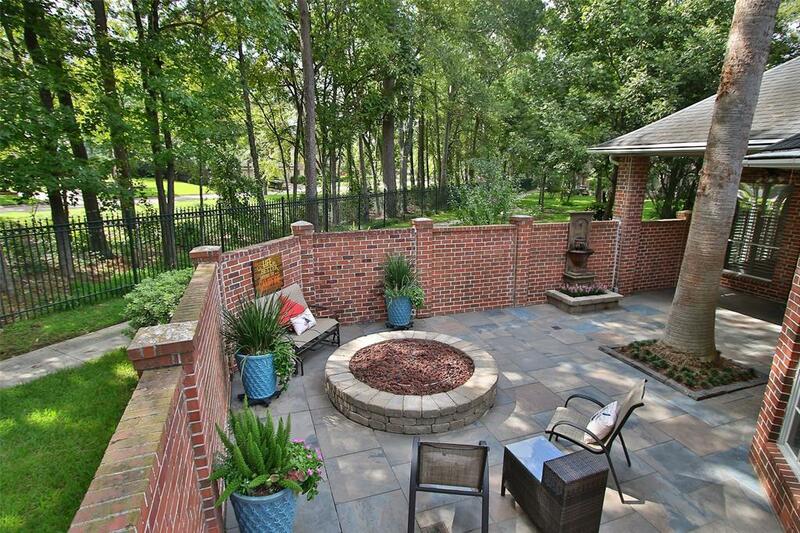 Gated neighborhood with walking trails.